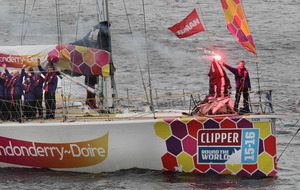 CROWDS lined the banks of the Foyle in Derry on Sunday to wave goodbye to the Clipper Race fleet. 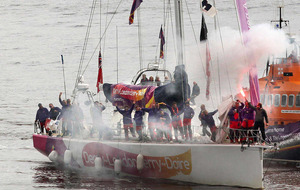 Led by the Derry~Londonderry~Doire team, the 12 yachts sailed up the river yesterday afternoon ahead of the latest leg of the round the world race. The 40,000-mile race, which takes almost a year to complete, is seen as one of the toughest endurance challenges in sport. 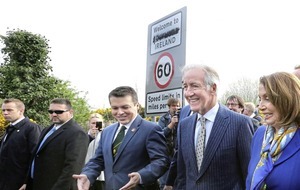 Sunday night's race from Greencastle in Co Donegal to Den Helder in the Netherlands marked the penultimate leg of the series which finishes in London on July 30. 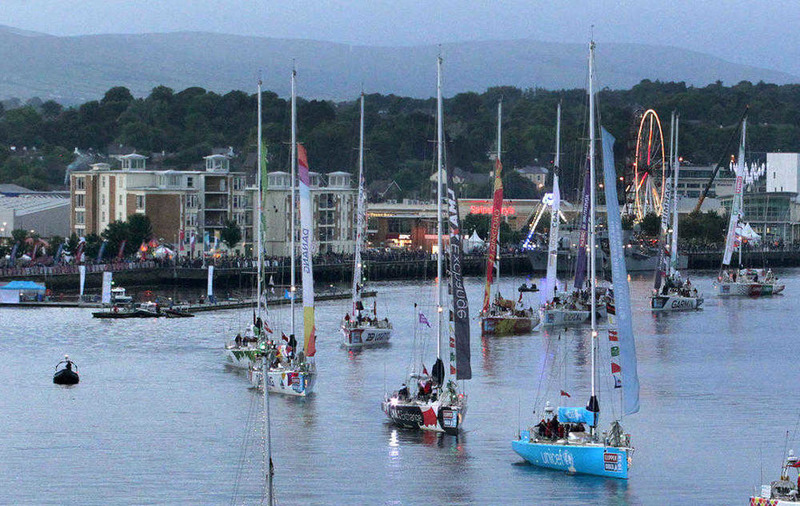 The Clipper fleet's departure marked the last day of the Foyle Maritime Festival, which drew thousands of people to the city. 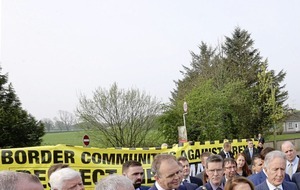 The festival included an outdoor concert on Friday night headlined by one of Ireland's biggest bands, the Riptide Movement. 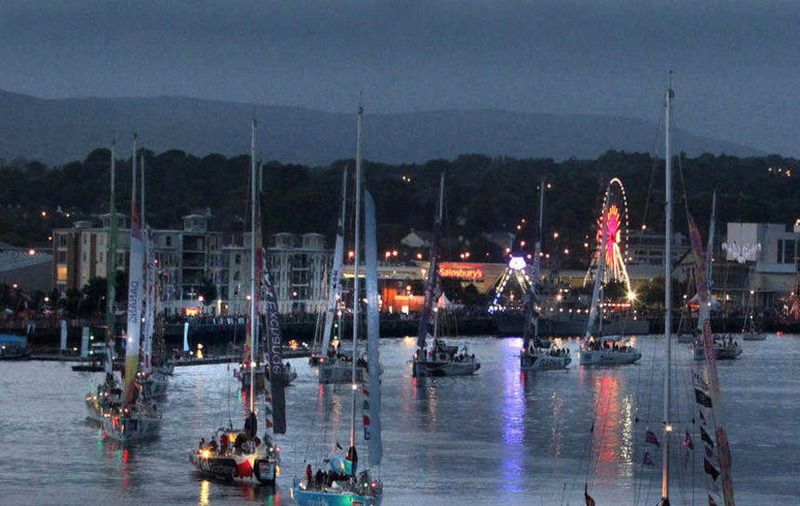 The highlight of the festival was a performance on Saturday night celebrating maritime heroine Sunniva, following her voyage from Ireland as she fled Viking marauders. 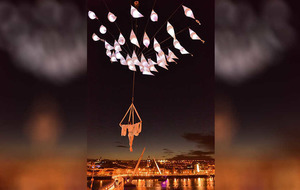 The Voyage of Sunniva Night of the Two Moons saw artists perform aerial acrobatics under the shadow of the two giant moons suspended above the river. 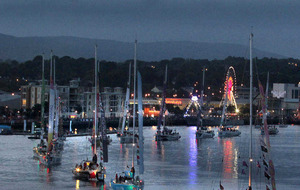 The show, including live music from Kila and other bands, included a procession of illuminated boats and a huge fireworks display.